This is my fourth draft. I keep trying out words, but it's hard to put my finger on what to say. I sit here as a woman who has been blessed with so many opportunities. I go to my job (my little part-time job) and see what a gift is it to work at a place that respects me--to have a way to provide for my family that is absent of darkness or hard things. 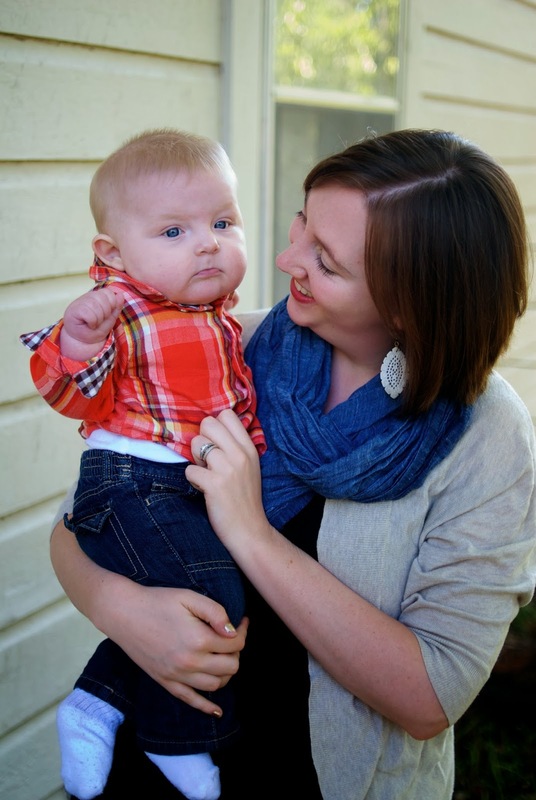 I sit here as a woman who has a new son and so desires to provide good things for him too. Doesn't Luke look excited? ;) I love my Saba scarf--perfect and light for fall in Texas. But, not all women have this. In fact, many women don't. Many women are offered the streets as a way to pull themselves out of poverty or provide for their family. Many women have dreams but no avenue to pursue them. Many women are stuck in the cycle of poverty and cannot see the end of it. When I see these woman, I can't pretend I didn't. I can't fix poverty and what it does to women, but I can make one small choice that drops into a well of opportunity. I can support organizations who offer more than a quick fix for poverty or charity without sustainability. That's why I love FashionABLE. In Ethiopia, they have created a sustainable business that offers work and dignity to women who need it. On this side of the world, they offer us a chance to pull up alongside the women working there and say: I see you. It's that simple. 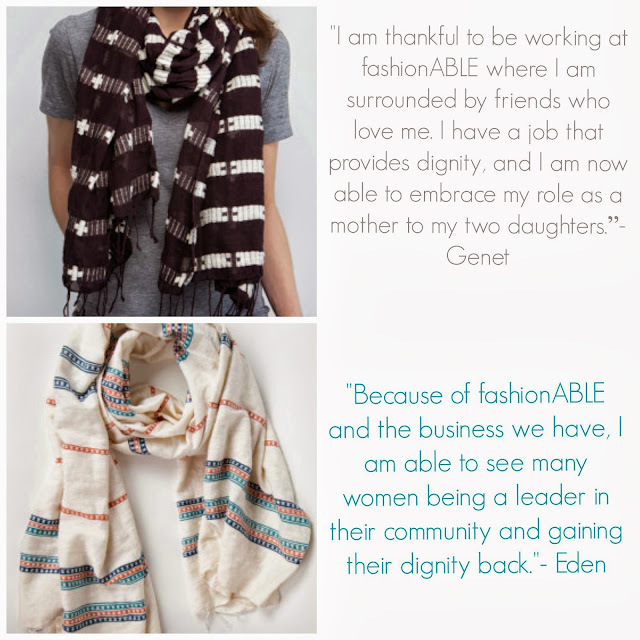 I buy a scarf, and it funds their work. As FashionABLE grows and expands, they are able to bring more women into the workplace and provide a way out for them. One last thing, they are having a huge 30% off storewide sale from today (the 23rd) through the 25th. Now is a great time to both get a wonderful deal and also support this organization. Plus, their products would make wonderful Christmas gifts, right? Also, take a peek at this video if you want to learn more about what they do!